Hello! While many of the iNSD celebrations are winding down, we at GingerScraps are still going strong thruogh Thursday! And. today is $2 Tuesday, so I have a couple extra deals for today only! I have a fun new grab bag, plus I've brought back my popular Build Your Own Grab Bags just for iNSD. And FREEBIES! And Exclusive discounts! Be sure to read to the end for the freebies and coupons. 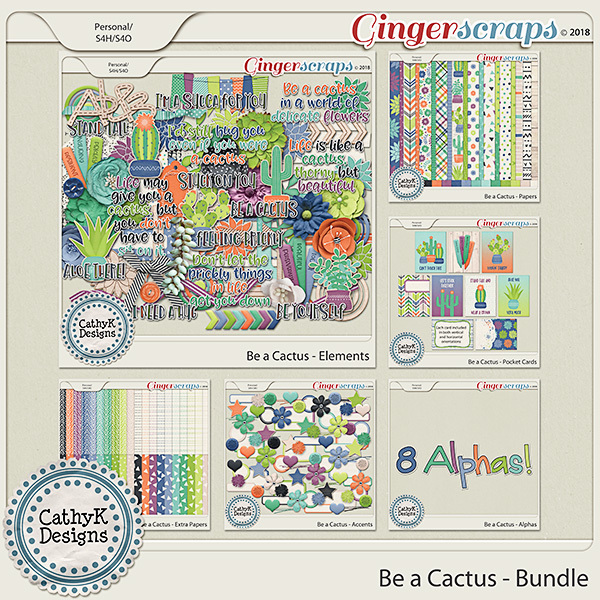 Get these 2 kits for just $2 each today only, May 8. 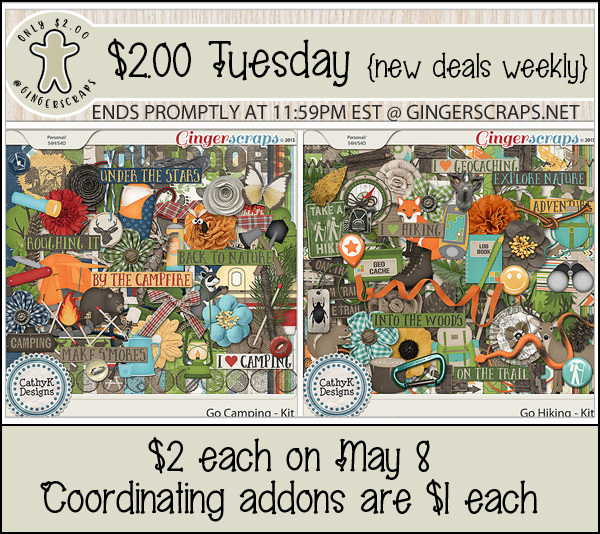 Coordinating addons are all just $1 each today. Most of my store is 50% off May 4-10, plus I have a new $5 Grab Bag and my popular Build Your Own Grab Bags available during this time. 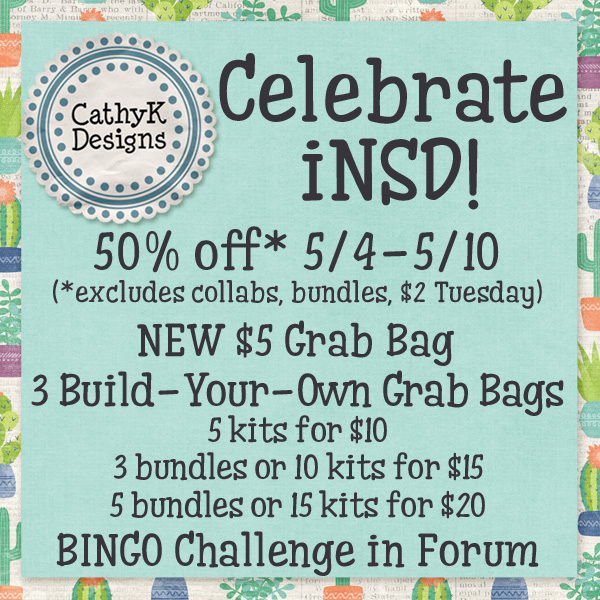 Check out this super fun collection packed into a special grab bag just for iNSD! 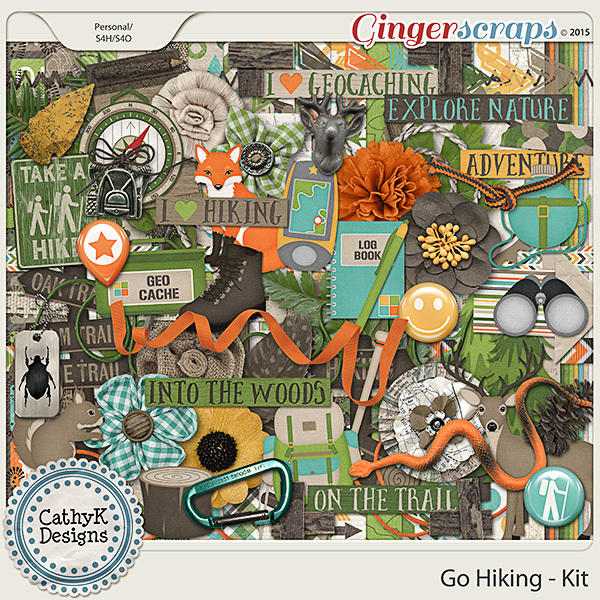 This collection includes a giant kit, pocket cards, extra papers, accents and a set of alphas. Get it for just $5 through May 10. Keep reading for FOUR coordinating freebies! 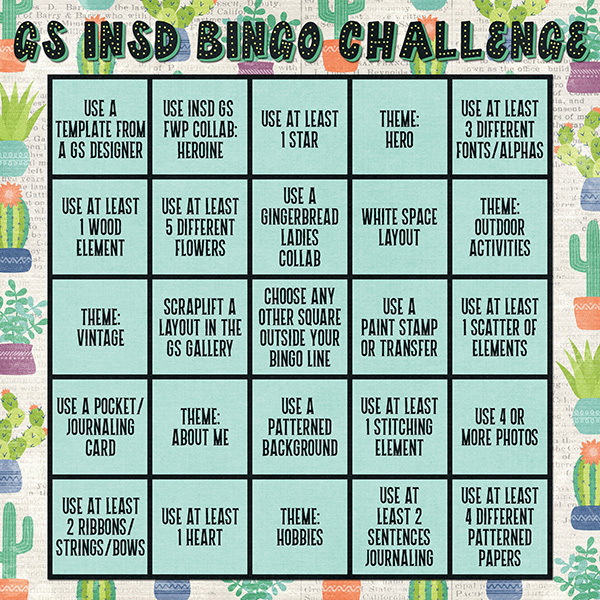 GingerScraps is celebrating iNSD May 4-May 10, and as usual, has a ton of fun planned! 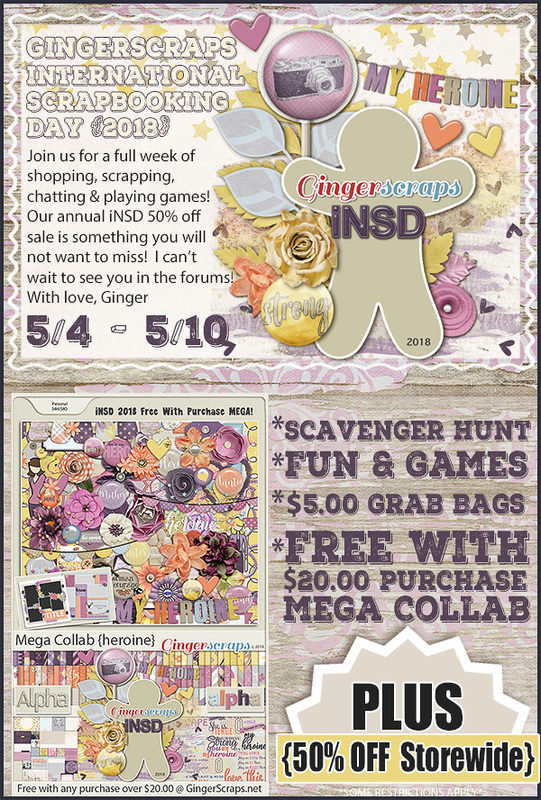 Check out the GingerScraps Forum to learn about all the fun things happening, including the amazing free with purchase kits and all the special iNSD games and challenges (incuding the famous GS Scavenger Hunt)! 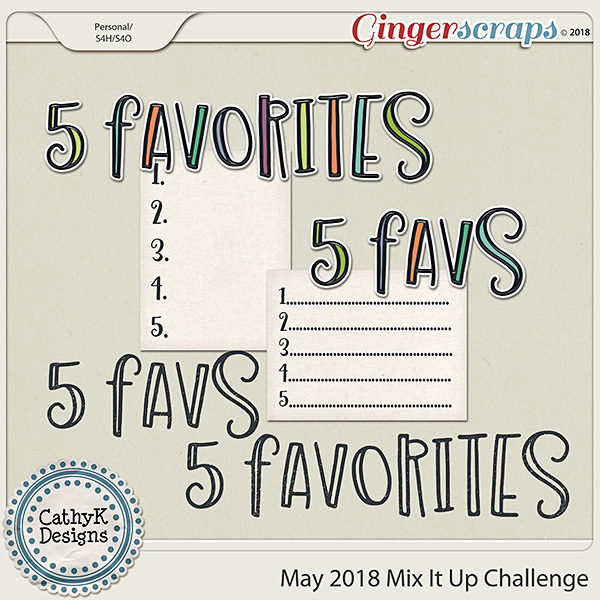 Head over to the GingerScraps Forum here to play my BINGO Challenge that runs May 4 - May 10. 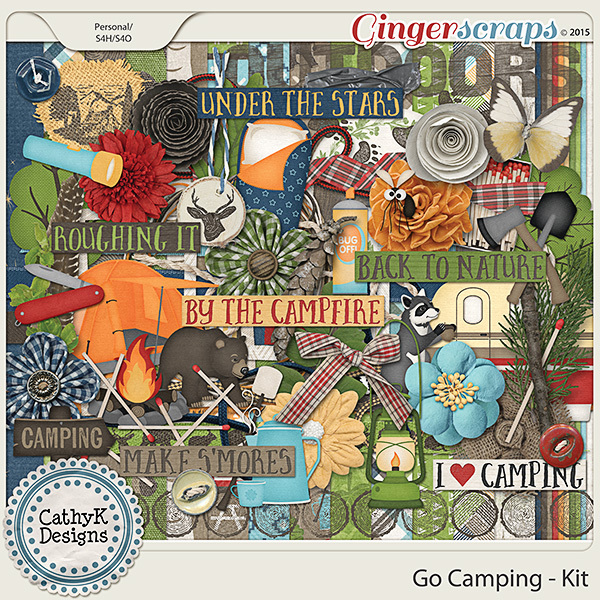 I am sponsoring the GingerScraps Mix It Up Challenge this month. 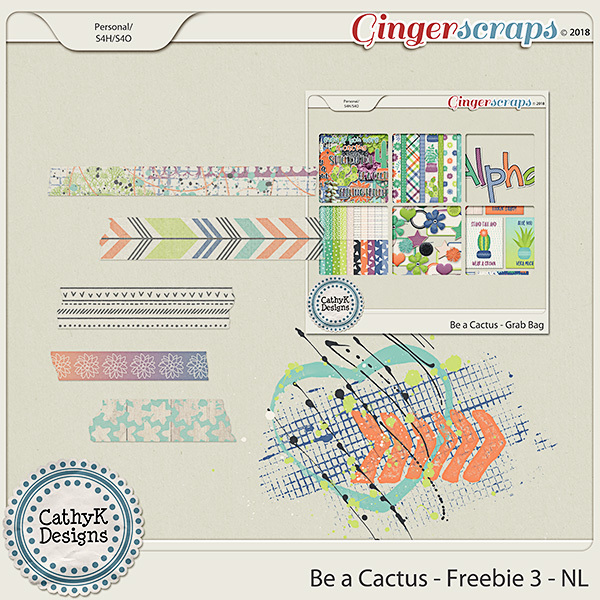 Head over to the GingerScraps Forum here to play along and grab a freebie that coordinates with Be a Cactus Grab Bag. I have 3 freebies for you that coordinate with my Grab Bag. This freebie can be found on my Facebook page here. 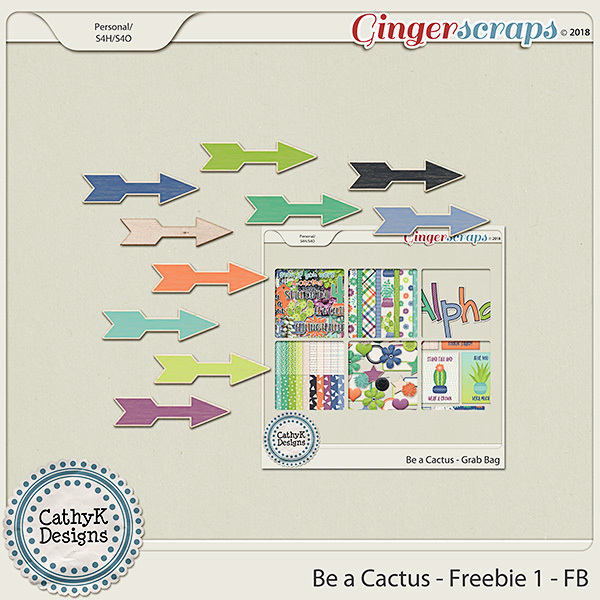 Click here or on the image to go to my Facebook page to download the Facebook freebie. 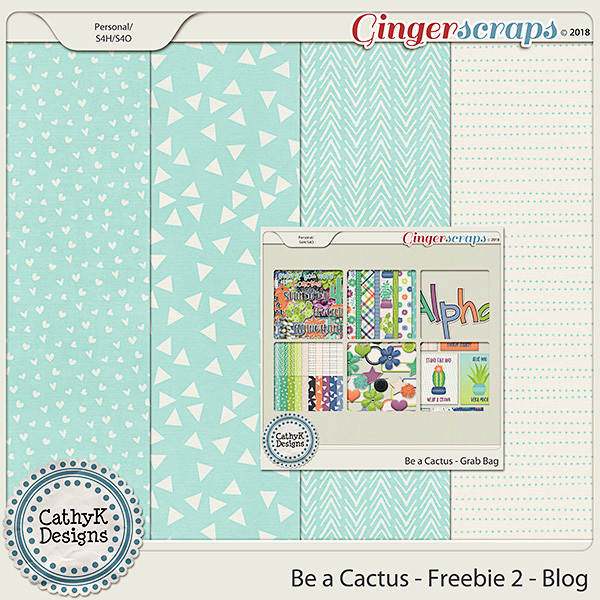 Click here or on the image to download the blog freebie. This freebie is exclusively for newsletter subscribers. I will resend it to new subscribers throughout the iNSD sale. Click here to sign up.